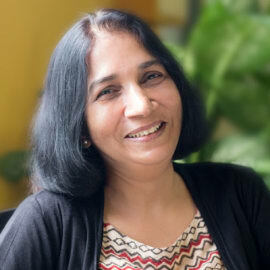 Rema cofounded Ankur with a vision to use her multi decade CXO and entrepreneurial experience to bring the tools to young startups to become game changers. She has worked across education and IT/ITES taking young companies from scratch to midsize ventures. She is a cost accountant from ICFAI and when she has spare time she likes to travel and try her hand at growing plants.